Managed Print Services - Our solutions bring you total peace of mind. Managed Print Services encompasses more than just supplies, more than just repairs and more than just service. Managed Print Services means that we partner with our clients to continually monitor and recommend ways to improve workflow and control costs. It means a more proactive approach to addressing print and document handling problems, before they can have a major impact on your business. 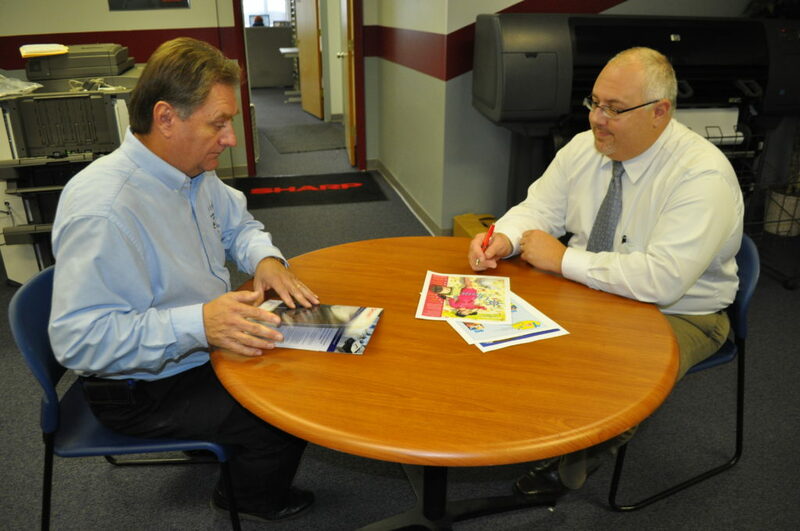 Knowing what your initial investment in your print environment will cost you in the long run, is our core business. Our solutions bring you total peace of mind. However, with that peace of mind comes real savings that impact the business bottom line too. Managed Print Services is Laser Line partnering with you, to assist with your organization’s entire print fleet. From document output to service, as well as the burden of supplies acquisition, we’ve got you covered. Now you can concentrate on what you do best – your business. Our managed print programs are designed to help organizations reduce the total cost of producing their business documents. Our twenty+ years and thousands of satisfied clients make Laser Line the experts in the field. We’re even the guys that many other IT service firms partner with, to support their own organizations and their clients. Even the newest hardware is only as good as the service behind it. Regardless of where you purchased your printers and copiers, from one unit to hundreds, we will support them. Ask us about our uniquely designed programs. We can provide real time monitoring of all your network devices, from the back room servers to the printers. Coupled with automatic service calls for any disruption, this allows you to focus on what’s important; your business. Just looking for coverage for your imaging needs? No problem. Beyond our certified warranty repair, we offer a wide range of solutions. From our all inclusive Platinum Plus Print Management Program to our simple pay-as-you-go HP 360 Program, we will work with you to find the service plan which will best fit your needs. Did you know just by purchasing your printing supplies from us could mean free cleanings and service calls for you? What is your current preventative maintenance program? 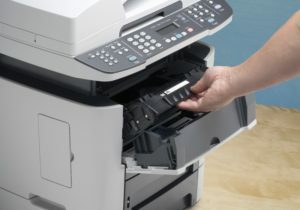 What do you do when your printers need service? What is your current criteria for purchasing supplies and new printers? Do you back bill cost centers for printer expenses? How many print related invoices do you generate monthly? How do you handle copying and scanning equipment purchases and management? What is your current plan for color printing? I just wanted to take a moment to let you know how pleased we are with your company and the printer service you provide. Both your sales representatives and your technicians display an extreme professionalism and are very attentive to our needs. The response time is exceptional! We hardly get off the phone from placing a call and your service technician is at our door ready to perform whatever service is required. Thank you for providing our company with exceptional printer management services.